Linking up with Christina and the Five on Friday crew today! 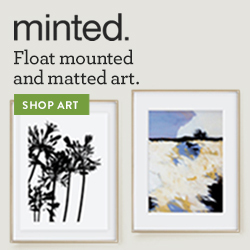 Y'all have to check out one of my favorite shops, Little Sapling Toys! 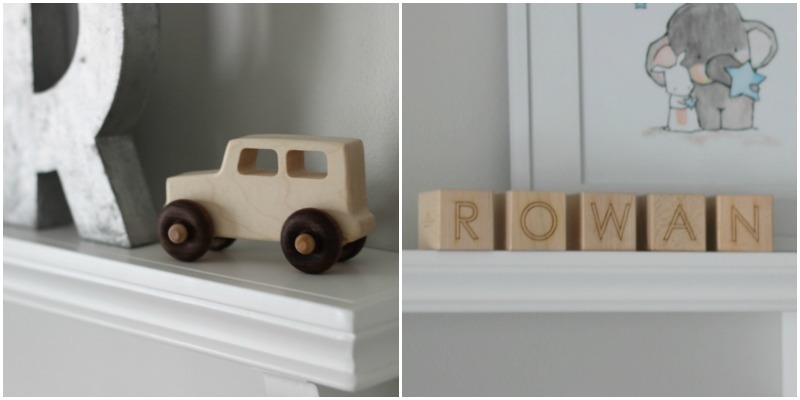 I can't get over how adorable these personalized wooden blocks and truck are for the babe's nursery. I have them as decor for now, but they can also be used as teethers. 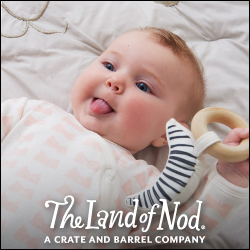 They are affordable, turnaround was super quick, and they offer tons of cute options like state teethers and animal shaped toys for both boys and girls. Such a great gift idea! As a bonus for y'all, the sweet folks behind Little Sapling Toys have offered a Home Sweet Ruby readers a 10% discount! Use the code HSR10 when checking out! Thanks to several food aversions that are still sticking with me, I've consumed more carbs this pregnancy than anyone should have in a 9-month time span. I'm really looking forward to putting this to use and eating healthier... would love to hear your favorite spiralizer recipes if you have any! Not only did my husband stock our bar with our favorite Northern Virginia wine, but he also spoiled me with the 50 mm lens I have been wanting for my DSLR! But, I notice I have a habit of getting blurry photos with this new lens (as in, nothing is really in focus) and it feels like I have to be really far away from the subject since its more zoomed in than my stock lens. If any of you have this lens, advice is definitely appreciated! Think I have enough stripes going on here? Knot Hat. Sherpa Tracker hat. Aside from the last minute additions like phone chargers, makeup, camera, etc. I think I'm all packed for the hospital! Such a surreal feeling! Mamas- Anything you forgot to pack and wished you had? Mark this recipe down as one of my favorite slow cooker recipes ever! I threw some mayo on a french bread roll, added the steak, pepper and onion mix, topped it with some provolone cheese and broiled it on low for a couple minutes. SO easy and delicious! This weekend I'm forcing myself to be more active, starting with brunch and a candle-making class tomorrow! Hopefully some talking around King Street too, since there was zero progress on the labor front at my OB appointment yesterday. Any and all advice on getting this babe moving is appreciated! I hope you all have a fabulous weekend, stay warm! I have been seeing spiralizers pop up on pinterest a ton! I'd check there. I really need to get myself one and see what it is all about. I love seeing all of your baby choices and outfits they are so cute and classic. No tips for the lens but that is on my wish list as well. Let me know how you like it! Oh my gosh the candy - it's nonstop from Halloween to Easter. I totally agree, there's not a more dangerous time of year to be preggers.Those wooden blocks and toys are so cute!! And yay for packing your hospital bag! So exciting girl! My spriralizer made my list this week, too! Too funny! If you haven't already checked out the blog "Inspriralized" you should! She has EXCELLENT recipes that are super flavorful. A couple of my faves are her sweet potato eggs benedict and a mexican sweet potato soup. Enjoy! I have only used my spiralizer twice, but love it! I need to get creative and try more things! Great job packing your hospital bag! So exciting!!! I haven't gotten a spiralizer yet but I've heard good things. I think it needs to be bumped up to the top of my to-buy list! 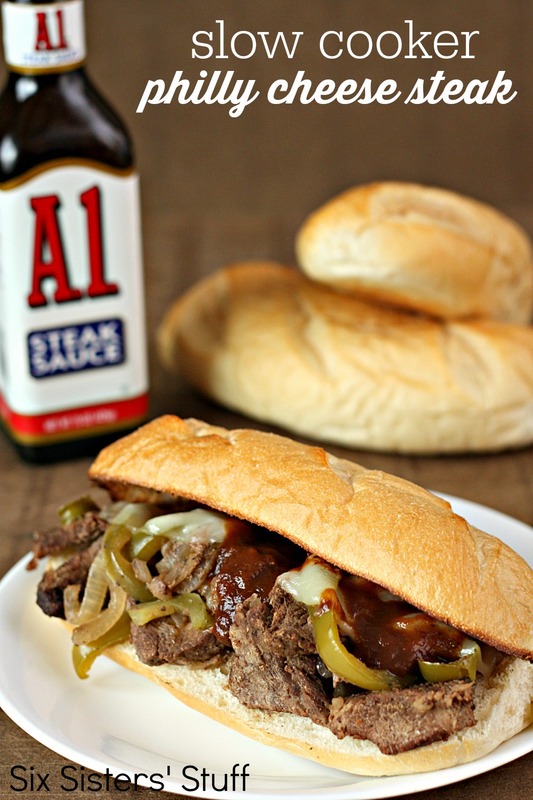 Mmmm philly cheesesteaks. Now you have my mouth watering!! :) Your hospital bag has some SUUUUUPER cute baby clothes in it--absolutely adorable! That lens is on my wish list, hoping to get it soon :) Have a good weekend! 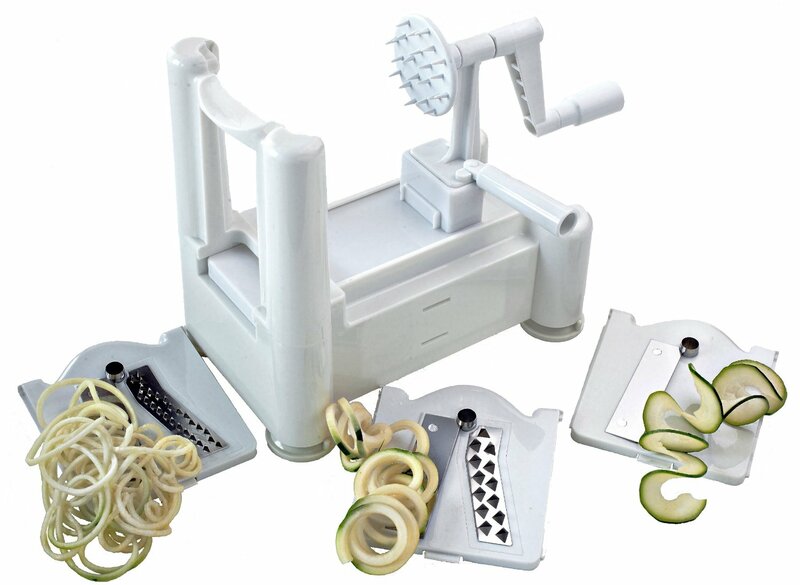 You'll love having a spiralizer! Maybe you can eat get Steve on board! See you tomorrow! As for the 50 mm lens, when the f-stop is at the lowest, it's sometimes hard to get the entire subject in focus. The lower the f-stop though, the fuzzier the background, which can make your pic really cool. But you really have to play around with the f-stop and figure out what works best with your subject. Sometimes I set it on 2.8 or 3 and it gives a good background, but also keeps the subject more in focus. If you go down to 1.8 it sometimes is hard to control what is in focus, unless you subject you want in focus is really small. I do all of this in the AV mode by the way, which is my favorite way to shoot with my 50 mm lens. This mode allows me to control the f-stop and how fuzzy my background is. Someday I'll master shooting in manual, but for now that is the easiest and fastest way for me to use my camera to get the results I want. Hope that helps and feel free to email with any other questions. I'm not a pro, but I've been using my camera for about 2 years, and I've finally got a few things figured out...ha! I love me some spiralizer meals. Anything by skinnytaste.com I've loved! You can never have too many stripes in your life! Wow, gimme that sandwich! Loving all the sweet clothes and how great your new lens works. See you soon, lady! You will LOVE the 50mm with a bit of practice. It's a huge adjustment for your feet to be the zoom :) but once you get the hang of it, it is an amazing lens. I shoot everything with it currently. I love those wood toys! Checking them out now! I have to hop on this spiralizer train - I feel like so many people have been posting recipes lately and they all look amazing! Hope you're having a great weekend!